Some of the greatest songs ever written by the greatest artists in history are about heartache. It's a human emotion we can all relate to. Sam Smith seems desperate to join that pantheon of great artists. So desperate that he's written two albums worth of break-up songs, forever playing the victim and crumbling under the weight of LGBT acceptance. By the end of the cloying 'The Thrill Of It All', you'll feel exhausted from wading through all the gloopy over-emoting and wish he'd just grow a backbone. The album opens with Too Good At Goodbyes, in which he bemoans his unluckiness in love like a lost puppy dog. What follows is mostly a series of pathetic ballads, his vocal alternating from a whispy falsetto to a whiny tenor like a deflating balloon. "Come on baby, do you worst," he sings in the chorus of Say It First, all clingy and hopelessly negative. On Midnight Train he apes Radiohead's Creep as he asks "am I a monster?" for breaking up with a lover, his tone self-centred rather than apologetic ("I can't stop crying, I hate that I've caused you pain"). Perhaps worst of all is the title track, in which he blames his failing relationships on his fame. So much for the relatable everyman. When One Last Song and Baby, You Make Me Crazy come along you'll be thankful for the upbeat tempo, despite the generic soul production. But listen carefully to the lyrics and it's no different - "you say that you're leaving, but I don't think I can let go / When you put the phone down I begin to cry" begins the latter song. No amount of horns and percussion can mask the heartbreak - it's perpetual. Perhaps what exemplifies Smith's desperation for universal acceptance most of all is his refusal to add gender pronouns to songs, despite positioning himself as a gay popstar. In an interview with Zane Lowe, he revealed that only four of the songs were based on personal experience. It's as if he's trying to distance his songwriting from himself, from his homosexuality. In the words of RuPaul: "if you can't love yourself, how the hell are you gonna love somebody else?" For that reason, HIM is the real standout track, probably the only one worthy of attention. Whether based on experience or not, it's a song that specifically references a male lover. However its opening is addressed to "Holy Father", the chorus of "it is him I love" blurring the line between religion and sexuality, reflecting the conflicting emotions of the song's character. That's clever. That's personal. That's giving a real reason for heartbreak beyond victimhood. And yet the album continues down its dark and dreary path. He's aiming for mournful and cinematic and grandiose sweeping emotion. Instead, it's pure tedium. 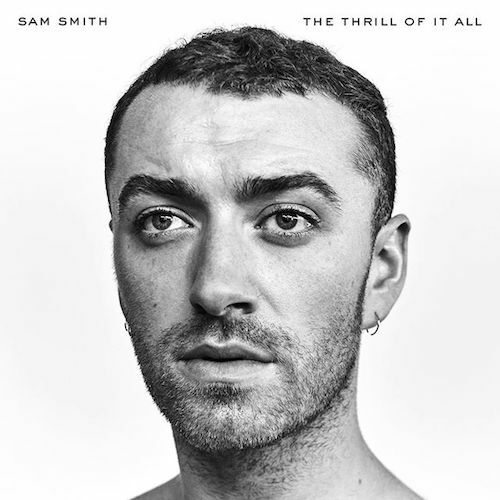 Listen: 'The Thrill Of It All' is out now.